Once upon a time, parents (aka “mothers”) hauled their kids all across town, to all their different activities, all the time. Then came Uber. It’s a great, easy-to-use driving service. The downside is: You’re never really sure who is driving your kids. 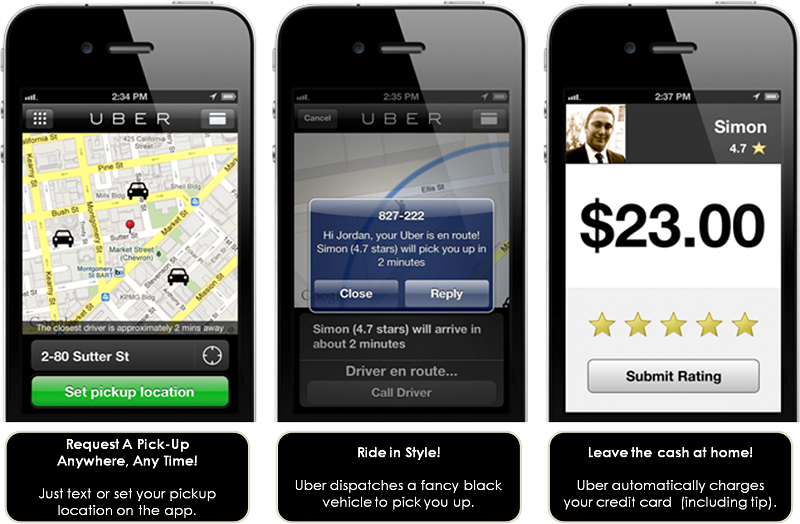 The app is — well, an uber-Uber. Aimed specifically at the pre-teen and teenage market, it addresses the sketchy-driver question head-on. Drivers are nannies, teachers, babysitters — and especially mothers. In fact, 85% of all drivers are moms. Each is carefully vetted. They must have at least 3 years of childcare experience. They’re fingerprinted, and their driving records checked. They must supply references. Their vehicles are inspected too. Marta lives in Norwalk; her parents are Westporters. 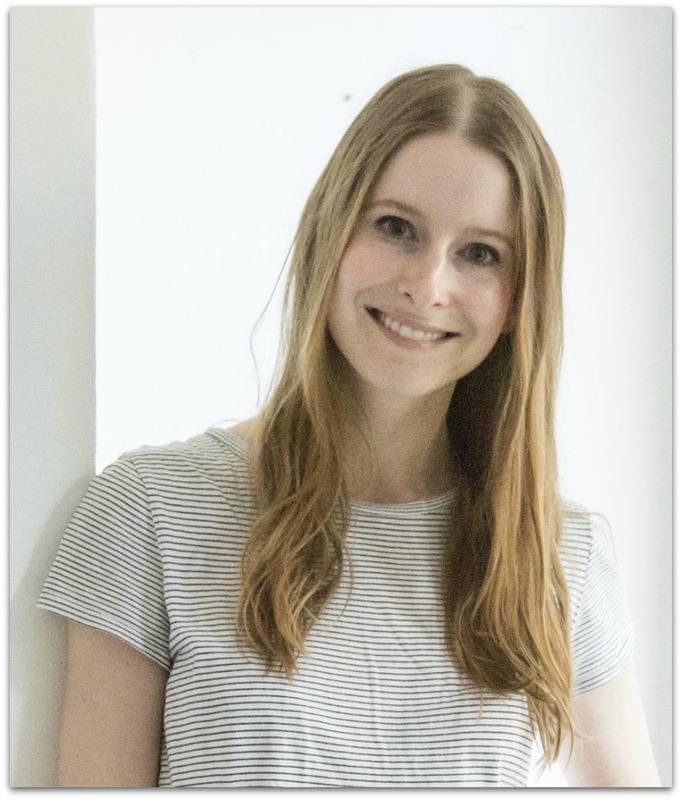 A former management consultant with a Fortune 500 company and a Forbes “30 Under 30” honoree, she’s intimately familiar with the pressures of suburban parenting — including how to get your kid from Point A to Points B, C, D, E and F, then home for dinner. Since the June launch, the app has been downloaded over 1,000 times. Many of those users are Westporters. “There are so many working parents” here, Marta notes. They use VanGo not just to manage their schedules — to stay later at work, for example — but to manage their personal lives too. A parent who is not chauffeuring can squeeze in a yoga or fitness workout, she notes. VanGo is not just an after school service, Marta says. Parents also use it during those stressful mornings, when driving a child to school may clash with an early train or meeting. More features: Parents can schedule “recurring rides” (say, ballet every Wednesday from 4 to 5 p.m.) with ease. They can book in advance. And they can track each ride from start to finish, via GPS. Feedback has been strong. A single mother of a pre-teen son was frustrated with Uber. “They often get our address wrong, do not wait, and are really not geared toward younger riders,” she says. Slide over, Uber. There’s a new driver in town. 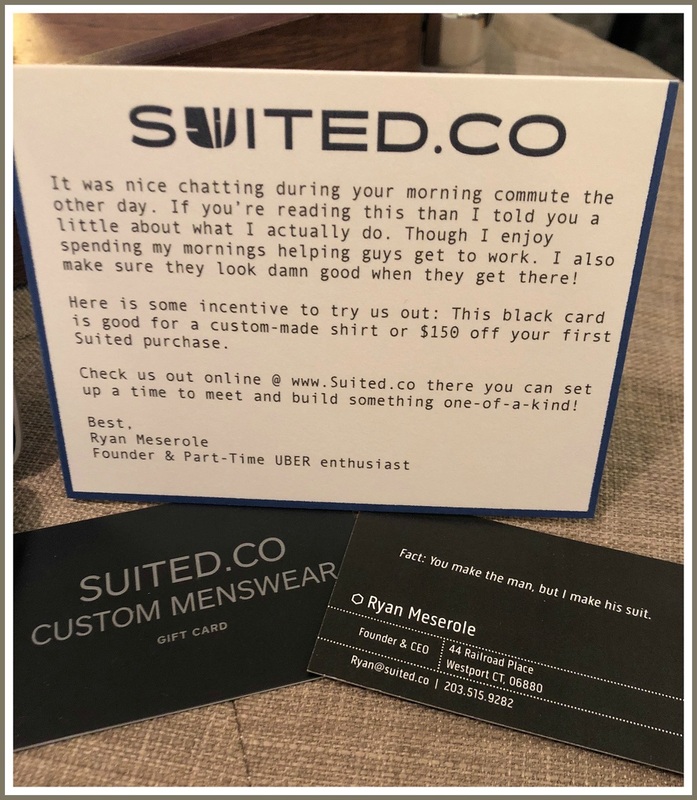 Three years ago, Ryan Meserole opened Suited.co. The small shop offers high-quality, hand-crafted suits. Its Railroad Place location is convenient and — surrounded by neighbors like Indulge by Mersene, Sports Attic and a few restaurants — cool. But small retailers have a tough time. And Commuter Coffee is just the latest business to announce it may close. Ryan grew up in the fashion industry. It’s his life’s work. He’s amazed to see so many clothing stores fleeing Main Street. A couple of months ago — sitting in his shop, wondering why foot traffic has declined — he suddenly realized: People are now dropped off at the station by Uber. “I can’t expect my window display to get customers in the door — even though I’m always complimented on it,” he says. 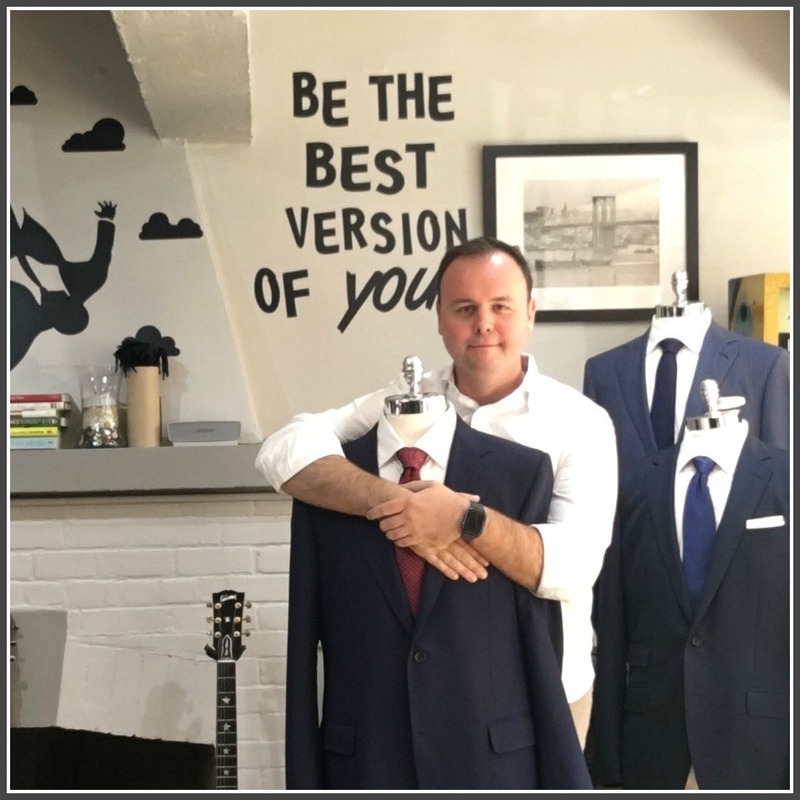 Ryan Meserole, in his Suited.co store. It took him just a day to sign up to drive for the service. Almost immediately, he hit the road. He wakes up at 5 a.m. 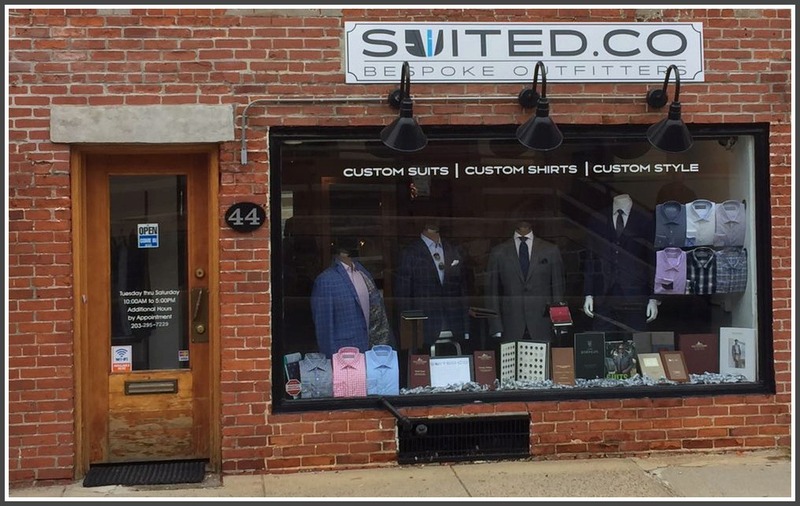 He drives during rush hour, until 9 a.m. An hour later — the same as always — he opens Suited.co. Bottom line: Ryan’s sales are up nearly 30%. Plus, he says, “I’m being of service to my community. I’m expanding my customer base to Fairfield, Weston and Wilton. And I’m being paid by Uber to do it. But he doesn’t need the Uber money. So he donates it to charity — a different organization each month. Most recently, it was the March of Dimes. You never know who your Uber driver will be. That’s part of the intrigue of the app. In Ryan Meserole’s case, that seems to suit his — and his driving/custom suit customers — just fine. It was a First World problem: Maggie Fair, Jenna McNicholas and Jamie Tanzer were headed to Taylor Swift’s MetLife Stadium Saturday night, with an extra $201 ticket. A friend backed out at the last minute. What to do? The girls — all June graduates of Staples High School — called an Uber. Driver Khalil Calixte offered them a cord to play music. They chose Swift. Calixte sang along. 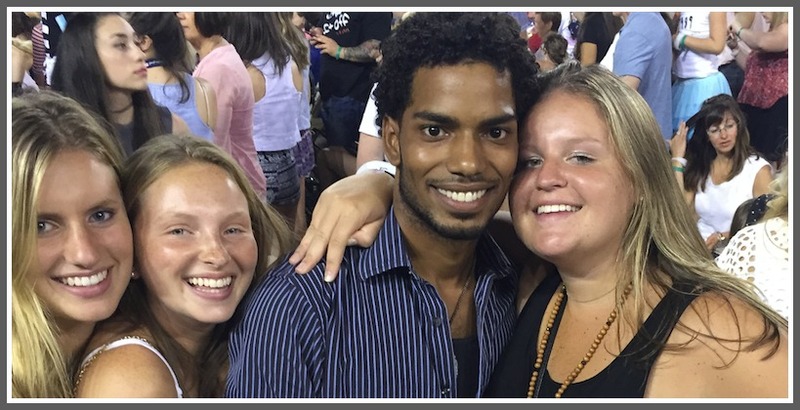 Jenna McNicholas, Jamie Tanzer and Maggie Fair with their new friend, Khalil Calixte. Then — according to a story on a great celebrity website, Business Insider — the girls looked at each other. “We were like, wait, he needs to come to the concert with us,” McNicholas said. He was all in. So instead of dropping the girls off at Penn Station, he headed out to Jersey. They all had a great time — especially Calixte. It was his 1st concert ever. And thanks too to Will Haskell — himself a Staples grad (and, oh yeah, a Business Insider writer) — for telling that tale so well. Since time immemorial — well, at least since F. Scott and Zelda Fitzgerald summered here, guzzling bootleg gin and carousing in their motorcar up and down South Compo — Westport has had a difficult relationship with drinking and driving. We don’t condone it, of course — particularly now, in the post-Mad Men era, when we all know its dangers. But after a night at a party, restaurant or bar, none of us may be in condition to drive. Local taxis have sketchy reputations. And not many parents will call their kids for a ride. The San Francisco-based company connects passengers with drivers of vehicles for hire. Cars are reserved through a cellphone app. Payments are done by credit card, so there’s no need to carry cash. When you need a car, you click on the app. GPS pinpoints your exact location, and estimates how long before a car gets to you. You can select car types: a black car or SUV. UberX is the least expensive: usually a Toyota Camry or something similar. You can also rate your driver. Uber operates in over 70 large cities — and, for the past couple of months, Westport. A longtime local businessman — who requested anonymity — used it Friday night to return home from a party. He told a few friends. The next night, they texted Uber too. 3 screen shots from Uber in San Francisco. They report that their cars were nice and clean. The drivers were pleasant. It’s a great economic opportunity for them to operate here, the Westport rider says. Somewhere in that great speakeasy in the sky, F. Scott and Zelda are smiling.